07/09/18 Winged and Wingless Sprints plus Modifieds and Mod Lites at 81 Speedway This Saturday Night! 06/10/18 Huge Father’s Day Weekend of Racing at 81 Speedway! 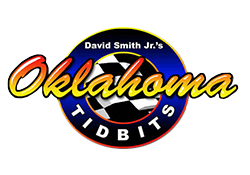 05/30/18 Weekly Race Action Continues at Lawton Speedway This Saturday Night! 03/05/18 Crawford County Speedway to Kick Off Season This Weekend! 01/19/18 Consignments and Graphics Person Sought for Upcoming Wichita Falls Trade Show!